There is no change that doesn�t begin in the darkness of the human soul. The necessity for the confrontation with the Shadow has been known by all cultures in all times and recorded in their myths and legends. When the obligation to become whole is laid upon an individual, the first task he must undertake is to confront his Shadow. 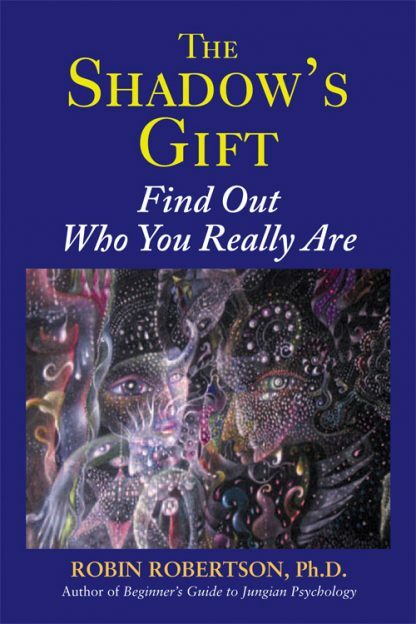 The Shadow�s Gift: Find Out Who You Really Are is about the Shadow contained in each of us, and why we must each join with our shadow, the archetype of darkness and evil in order to become whole. This heroic process is crucial as the projection or denial of the Shadow twists its true meaning into a destructive, counter-evolutionary force. Owning and integrating our shadow allows its transformation in both the world and us. Robin Robertson draws from stories of real people�s lives, from the Bible, fairy tales or legends, modern fiction and the work of famed depth-psychologist C. G. Jung as well as his own experiences. His writing is intimate, accessible and his insights and wisdom are conveyed in anecdotal and easy-to-understand language with clarity and depth.